Miklos Kontra, Robert Phillipson, Tove Skutnabb-Kangas, Tibor Varady. (Eds.). 1999. 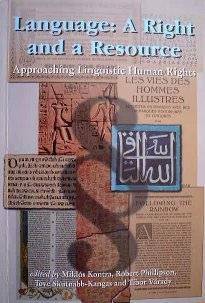 Language: A Right and a Resource. Approaching Linguistic Human Rights. Budapest: Central European University Press. 346 p. ISBN 963-9116-64-5.